BANGKOK (AP) — The price of oil fell Monday after a stronger jobs growth in the U.S. sparked speculation of an earlier end to the Federal Reserve’s loose monetary policy. Benchmark oil for April delivery was down 23 cents to $91.72 a barrel at midday Bangkok time in electronic trading on the New York Mercantile Exchange. The contract rose 39 cents to finish at $91.95 a barrel on Friday after the U.S. government said employers added 236,000 jobs in February, far exceeding predictions. The unemployment rate fell to 7.7 percent from 7.9 percent. While the improved jobs picture bodes well for growth, analysts said it could also signal an earlier end to the Federal Reserve’s bond-buying program, dubbed quantitative easing, which has been instrumental in propping up the U.S. economy since the 2008 global financial crisis. Caroline Bain, commodities analyst at Economist Intelligence Unit, said that if U.S. economic data continues to be strong, that investors might anticipate that quantitative easing would be wound down “sooner rather than later and this would be negative for oil prices as it suggests lower investor inflows.” The Fed has been keeping interest rates near record lows to boost lending and investment. But it also serves to draw money away from bonds and into stocks and commodities. 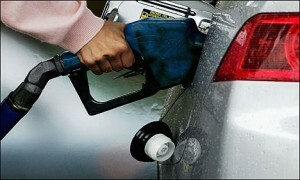 Recent gains by the dollar against the Japanese yen and the euro also put pressure on oil prices. A stronger dollar makes oil a less enticing investment for traders using those other currencies, since oil is traded in dollars. Brent crude, used to price many kinds of oil imported by U.S. refineries, was down 34 cents to $110.51 a barrel on the ICE Futures exchange in London. Wholesale gasoline rose 1.2 cents to $3.216 a gallon. 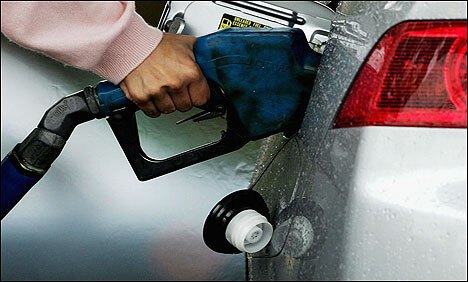 Heating oil fell 0.8 cent to $2.967 a gallon. Natural gas fell 0.4 cent to $3.624 per 1,000 cubic feet.